For you, willing to grow and improve your pole dancing skills, we have created the Pole Dance Passport. It will guide you through your training sessions with 7 photographic cards divided into 7 levels, colour-coded like Karate belts. 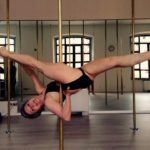 In each card you’ll find the basic moves that you have to do to progress in pole dancing, named according to the official names used in the most important international competitions. Use them to train on your own and follow the right progression, or have fun on a pole day with your pole mates. 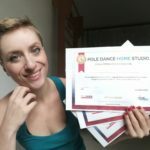 If you’re a teacher, why not use the Pole Dance Passport cards to organize your classes and level-test your students? 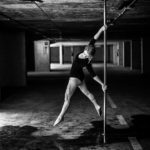 Whether you are at a basic or advanced level, teacher or student, training at home or at the studio, the Pole Dance Passport will be your guide and your inspiration in the world of pole dance. This is a preview of the 1st level of the Pole Dance Passport, the first free, online tool to learn pole dance following the right progression. Don’t you agree this card is awfully handy? 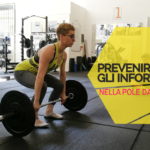 Pole Dance Passport is an idea of Valentina D’Amico and has been realized by the PoleDanceItaly.com team pictures: Federico Chebobjim Zazzara of CBJ Photo e Video.